Thanks to an amazing, patient and very talented graphic designer, Veronica from VK Design Company I have a new blog design and logo to share with you all! And I love it! 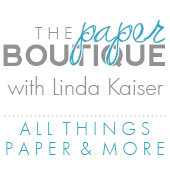 I can’t believe I am officially a dot.com with a brand new URL www.paperboutiquewithlinda.com . I still have a couple of things to do, but it is almost finished. Thanks VK! Now back to SOS Sunday! You have heard that every woman needs the perfect black dress and I so agree! 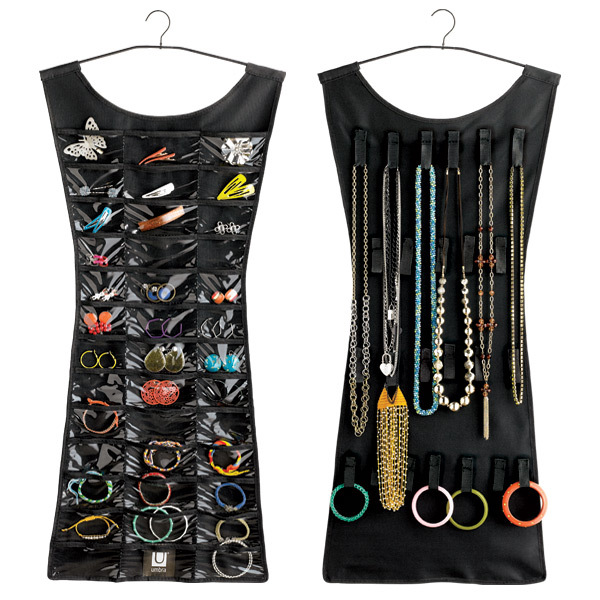 This is the perfect way to store earrings , necklaces and more. I bet it would even work for craft supplies. Isn’t it adorable! I wish we were near a Container Store, but I will just have to settle for ordering on-line. 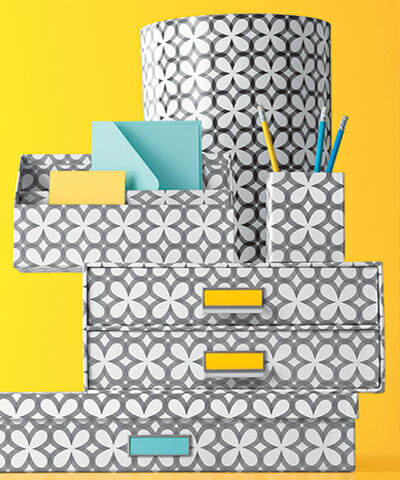 Speaking of The Container Store, click here to see tons of expert tips and ideas. Congrats on you new web site. Looks great! Thanks for all the projects and info you share with us. Thanks Debby! i am loving the look created by VK! She is a miracle worker!! Wow, congratulations on your website- looks very professional! At first I thought I was on the wrong blog. 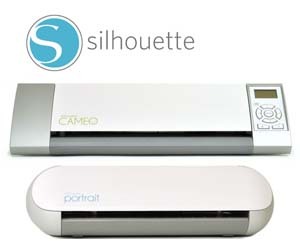 ;) The new design is so simple and classy. I love it. Thanks Kim and Bobby for your nice comments! Oh Linda I love the new web site. It looks fantastic!! !